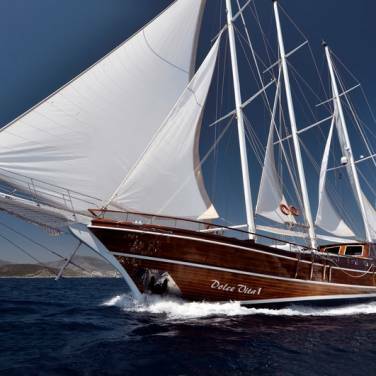 Gulet Queen of the Adriatic is a 27 meters long sailing yacht, designed for exceptional cruising in Croatia. 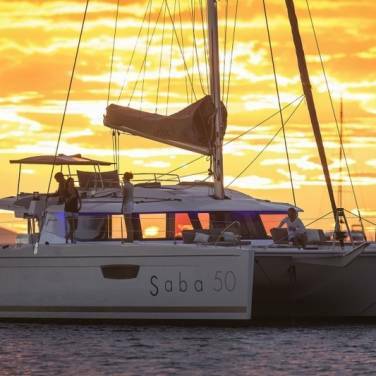 It features the outlines of a traditional gulet combined with the modern design, bringing remarkable sailing moments for up to 12 charter guests. There are 6 spacious cabins, each one with mahogany paneling, air conditioning and private en suite bathrooms, providing a highly comfortable accommodation during your stay. The interior features main salon with a bar, and a dining room supplied with TV, CD and DVD player while the exterior has vast teak decks, ensuring plenty of space for sunbathing and lounging. The covered aft deck is a beautiful outdoor dining area, perfect for tasting excellent gastronomic specialties made especially for you by the private cook aboard. For a more active cruising experience, you can participate in different sports activities such as snorkeling, fishing, canoeing and jet skiing. There are several cruising itineraries you can choose from, which include the most picturesque locations on the Adriatic shoreline, ranging from ancient cities such as Sibenik, Split and Dubrovnik to hidden bays and beaches of the most appealing islands such as Kornati, Mali Losinj and Vis. 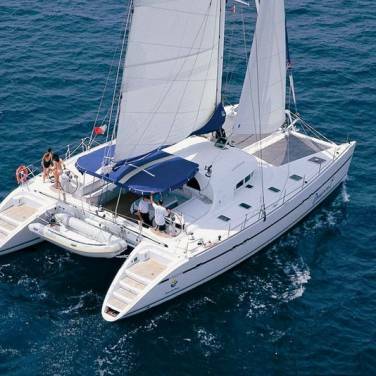 For whatever reason you choose to charter gulet Queen of the Adriatic, rest assured that you will have a wonderful and memorable cruising holiday experience.